Future neuroscientists, psychologists, neurologists and doctors from secondary schools in London and beyond came together to participate in the annual London Brain Bee championship on Saturday 17th March at the Sainsbury Wellcome Center (SWC) for Neural Circuits and Behaviour. 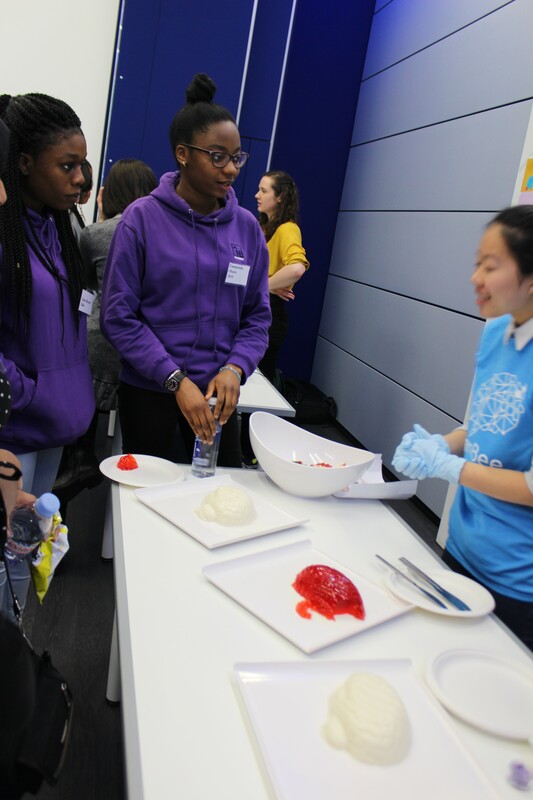 The event was funded by the Company of Biologists, DANA Foundation and King’s College London Public Engagement grant. 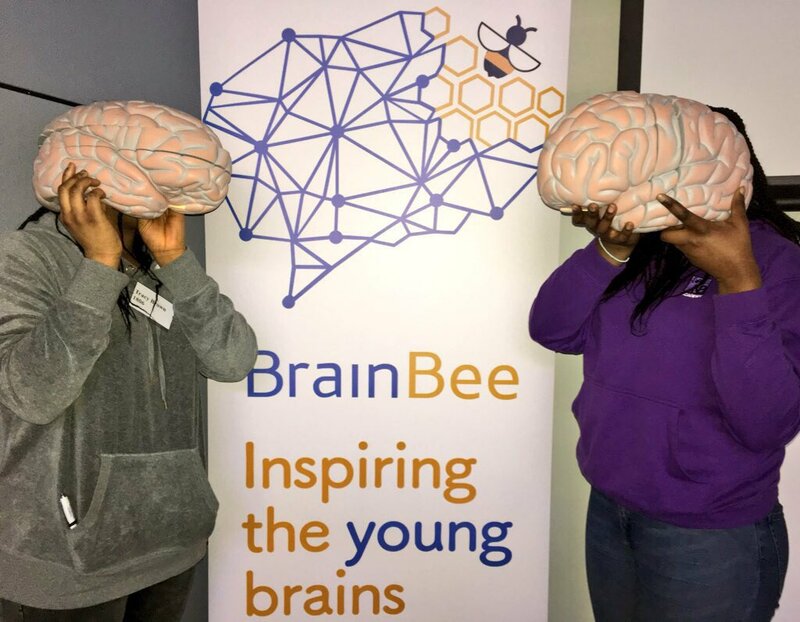 The Brain Bee championship exposes young students to the study of the brain early in their academic careers, and aims to motivate students to pursue careers in psychology, neurology, neurosurgery, or neuroscience. The one-day competition is open to all secondary school students. 2) a test to identify anatomical and histological structures and functions in human brain and spinal cord specimens and slides. 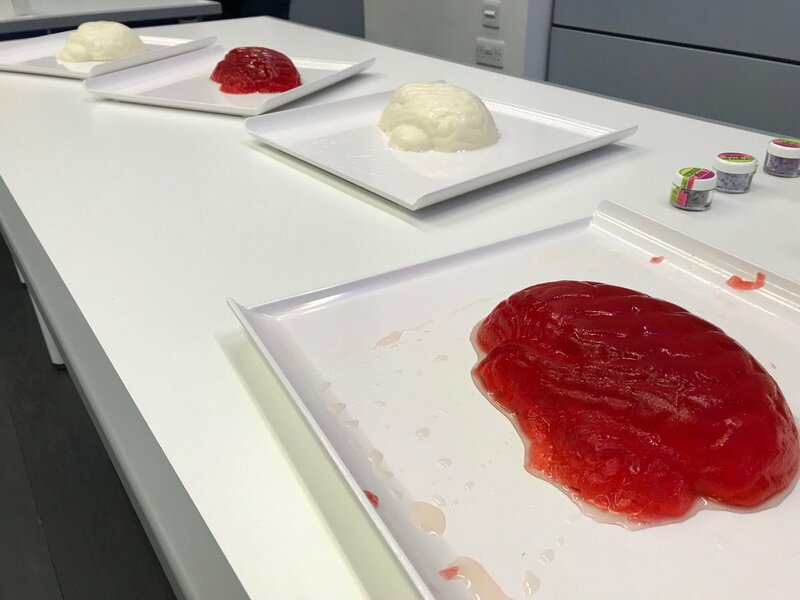 Following the tests, participants had lunch with current undergraduate and postgraduate students, scientists, and professors, and also had the chance to participate in some interactive demonstrations, including dissections of jelly brains and visual illusions put on by academics from the SWC and Dementia Research Center at UCL. With all of the hands-on activities, the kids learn a lot and met experts in the field, while sharing a fun day with their families and teachers. After lunch, Dr Martina Bocchetta presented to the participants of the London Brain Bee about her journey and career in neuroscience from high school to PhD student to a Research Associate specialising in neuroimaging and neuroanatomy in dementia at the UCL Dementia Research Centre. What’s more, participants on the day were lucky enough to be audience to Chief Scientific Officer of the Sainsbury Wellcome Centre, Professor Tom Otis, and his presentation on how neuroscientists can learn and understand neurological disease and how they might go about developing treatments to target these disorders. The final challenge was a live question-and-answer session for the Top 10 participants who scored the highest in the first two exams. 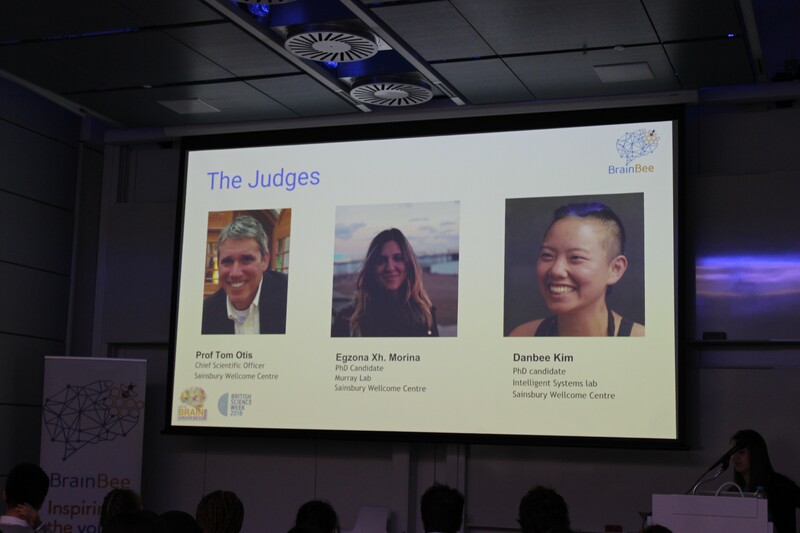 A judging panel comprised of Prof Tom Otis, Chief Scientific Officer at Sainsbury Wellcome Centre, Egzona Xh. Morina, a PhD candidate within the Murray Lab, and Danbee Kim, a PhD candidate within the Intelligent Systems lab of the Sainsbury Wellcome Centre. After an intense session and tie breakers, the winners were finally selected. The 2018 London Brain Bee Champion is Amy Campbell (Peter Symonds College). Second place went to Sophy Popov (Peter Symonds College) and third place went to Sam O’Connor (home educated). The winners were awarded neuroscience textbooks, lab internships and a ticket to the next round, the National Brain Bee which will take place in the Nottingham Girls’ High School on 10th of April. There the national winner will be selected who will represent the UK in the International Brain Bee Championship. This year’s International Brain Bee (IBB) will be hosted by the FENS Forum of Neuroscience in Berlin, Germany between 5-9th July. 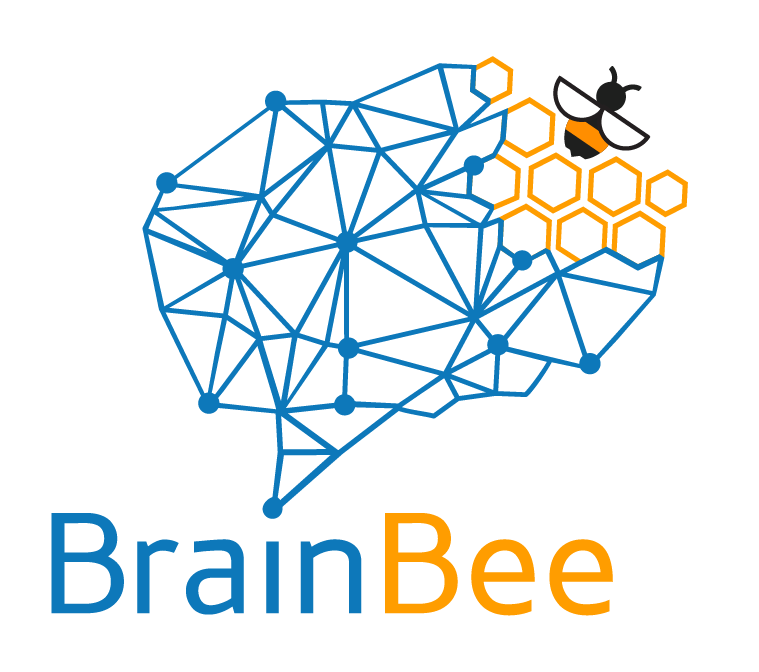 The International Brain Bee (IBB) was founded in 1999 and has 175 chapters in 60 countries on six continents. Local coordinators conduct contests each year with winners competing in a National Brain Bee. It is aimed to inspire young men and women to continue their education and pursue careers in brain-related professions, according to Norbert Myslinksi, PhD, associate professor at the University of Maryland and IBB founding director. 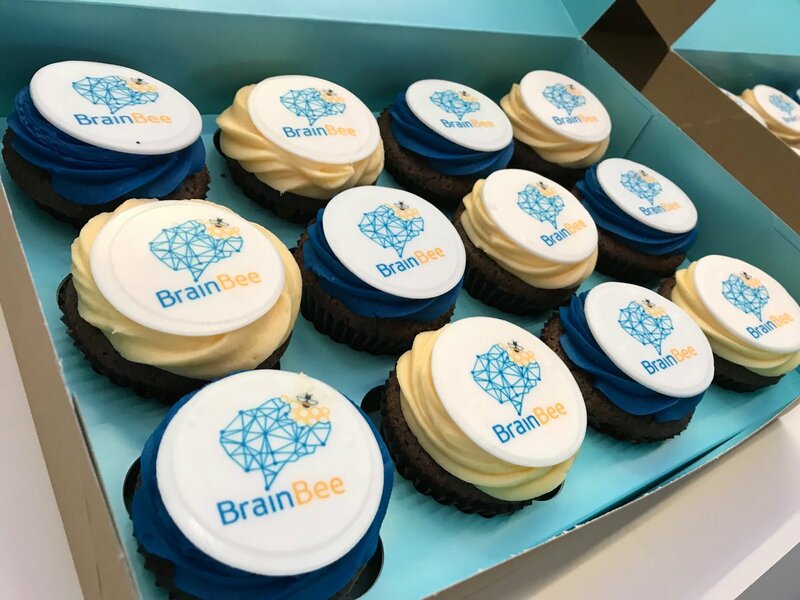 The British Brain Bee (BBB) was founded in 2017 but the initiative has been organising the Brain Bee championships in the UK since 2015. 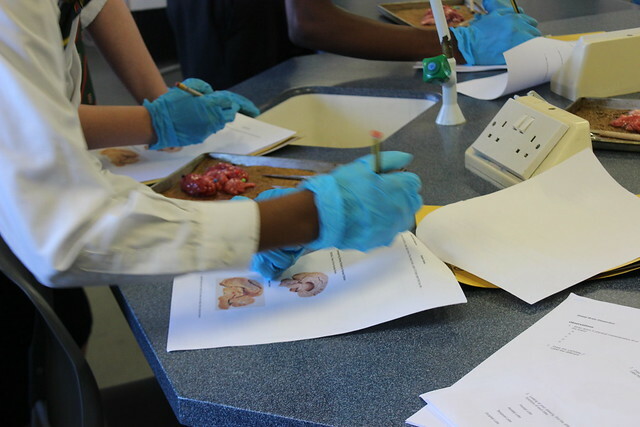 It is the only charity in the UK that aims to inspire the young generation to delve into psychology and neuroscience and to reward the brightest minds. The patrons of BBB are Prof Uta Frith, Sir Colin Blakemore and Prof Paul Bolam.